Propeller shafts are long and heavy within relative small diameters. Our customer wanted to machine such propeller shafts on an existing lathe. 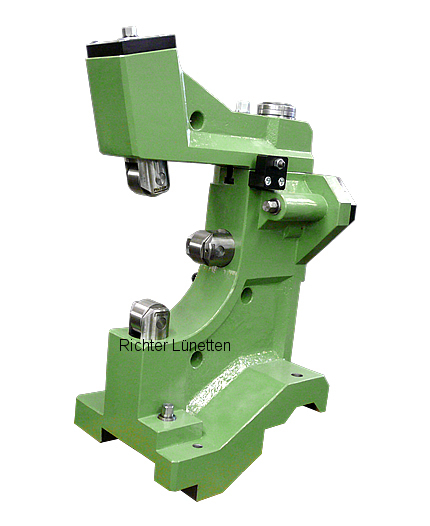 We designed a steady rest solution which fits on his lathe and allows an economically priced machining.